If you're going on safari, you usually want something that can carry you through desert and jungle, and over rocks, grassland, and sand. But you also want something durable, as we learned this week when a tiger decided to take a nap on top of a car in South Africa. Going on safari has always been a Theodore Rooseveltian-dream of mine, without all the shooting of the elephants and the whatnot. If I were to go on one, the only choice for me would be a Land Rover Defender. Tough, durable, and simple enough to be repaired with a hammer and some string, it should be the strongest survivor in any safari environment. That said, it doesn't have much by way of creature comforts, and you might want some of those on a hot African night. 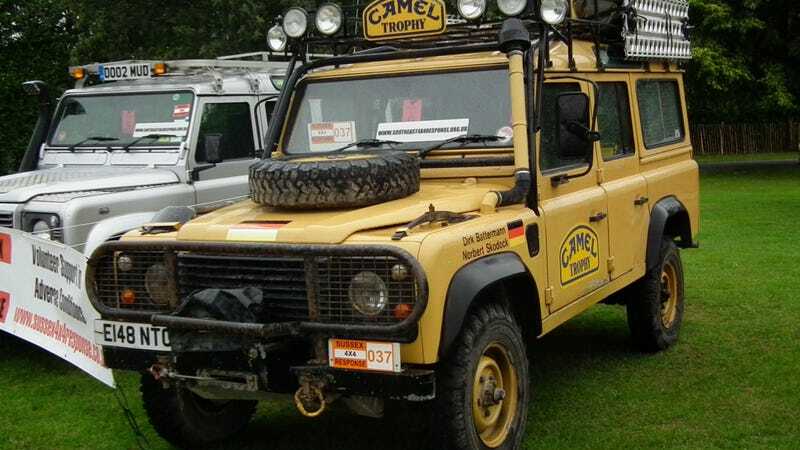 What would you use take on a safari as your ultimate expedition vehicle? Show us in the comments!